For the first time ever, Zee TV USA is creating new local content in English for the South Asian-American audience. Dubbed "Zee US Originals," the new programming highlights the fusion of American and South Asian culture. The aim is to develop fresh and emerging South Asian artists in America and give them a mainstream platform to showcase their creativity and culture in the form of television. Zee US Originals brought on Miss America 2014, Nina Davuluri, to host and debut "Made in America" a show that empowered South Asian women and taught them the skills needed to succeed in the beauty and fashion world. "Made in America" chronicles the journey of six young South Asian women, selected from a pool of 6,000 hopefuls, in a talent competition that ultimately crowns one winner. Through its unique and grueling challenges, the contestants gain new insights, forge lasting friendships, and discover hidden strengths they never knew they possessed! As one of the most affluent communities in America, Zee US Originals sought to highlight the success of South Asians through "Those Who Made It" a series chronicling the lives of prosperous Indian American entrepreneurs, businessmen, and philanthropists. This series was followed by a premiere quiz-game show: "America's Smartest Family" ASF's new format takes the entire family and pins them against other families in an epic battle of the wits. Hosted by famous Youtuber, Zaid Ali, "America's Smartest Family" draws parents and kids alike with unique questions and conversations around American and Indian culture. Currently, Zee US Originals is in post-production for its two most-anticipated reality series: "Married in 7 Days" and "Break Through the Crowd" "Married in 7 Days" takes three women, ready to get married, and uses Indian matchmaking customs to set them up with 12 suitors. Through a series of dates and challenges the suitors will be eliminated through various methods until we find out who gets "Married in 7 Days!" The series promises love, heartbreak, and inspirational journeys that reveal both American and Indian culture. "Break Through The Crowd" explores the spirit of crowdsourcing through a competition wherein many entrepreneurs pitch their ideas only to be selected, groomed, and sent through a crowdfunding challenge. The entrepreneurs are put to the test and judged on their pitches and their work ethic! 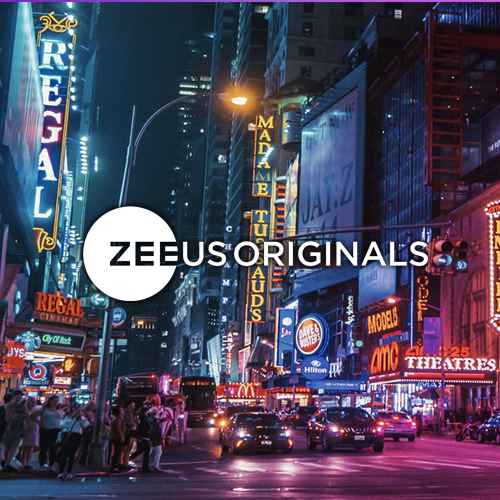 To follow all Zee US Original projects - check out www.zeeusoriginals.com.